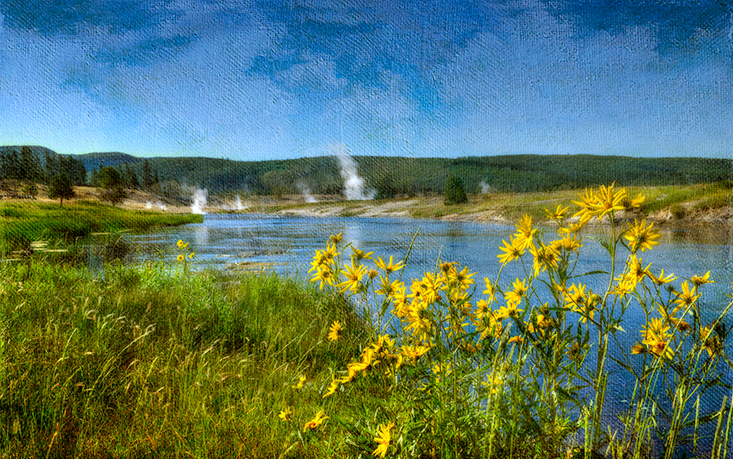 Yellowstone is a very special and unique place where wildflowers bloom in the lower geyser basin and the ground steams from many geysers and paint pots along the beautiful Fire Hole River. I took some liberties and added canvas to this image as the plain blue sky lacked drama. We stopped at Mt Haynes this morning to enjoy the view and watch the fly fishermen wade into the water along the Madison. 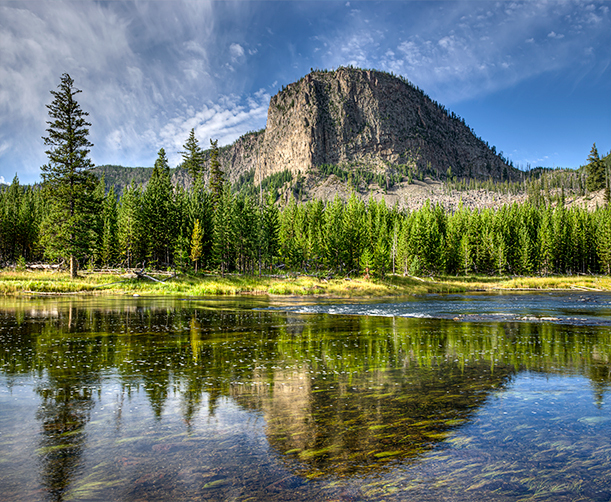 The Nez Perce Creek flows into an open valley where buffalo often roam. 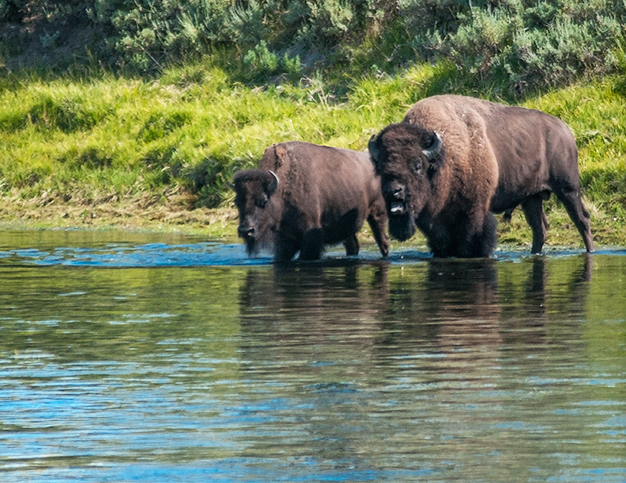 A pair of buffalo taking a drink before crossing the Yellowstone River in the Hayden Valley. 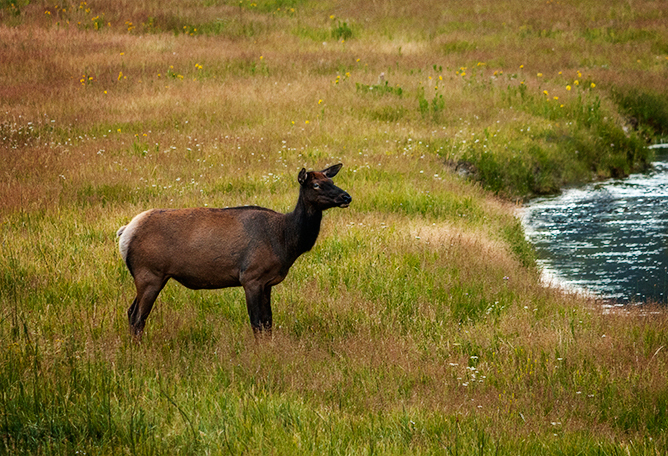 A young elk buck grazing along the Madison River early one morning. 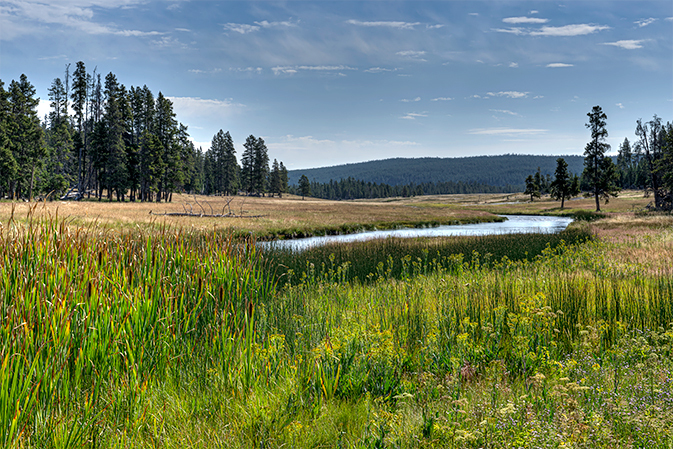 You can see the ears of young elk in the grass on the left. 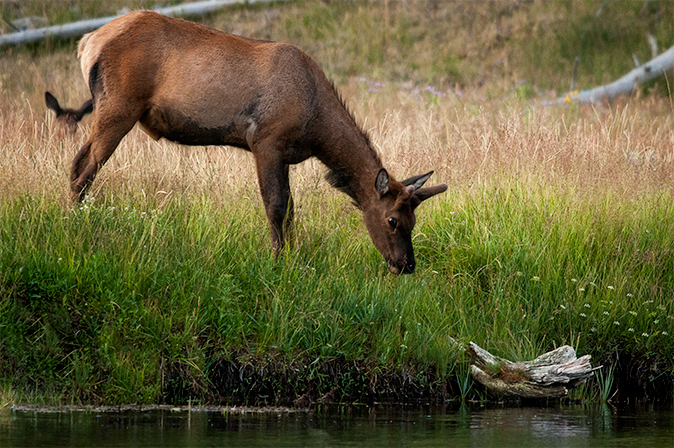 Elk grazing along the Madison. All the elk look very healthy this year.